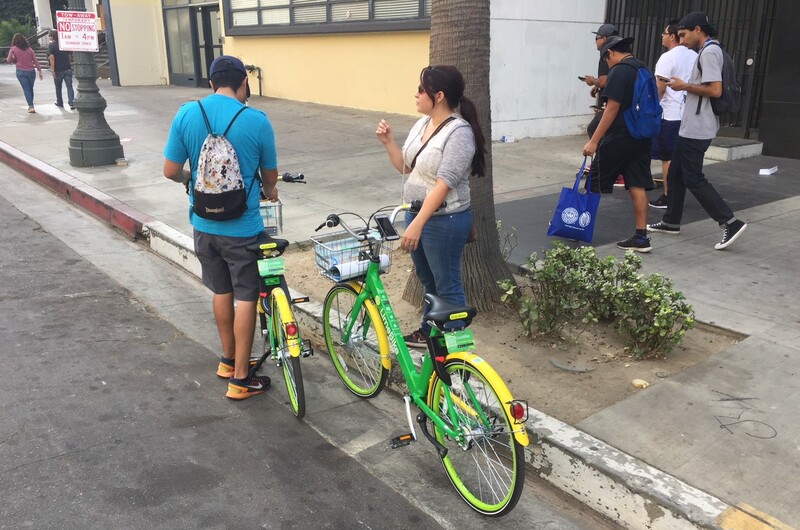 L.A. is nearing approval of pilot regulations for dockless shared mobility devices, including Lime Bike bike-share bicycles pictured. 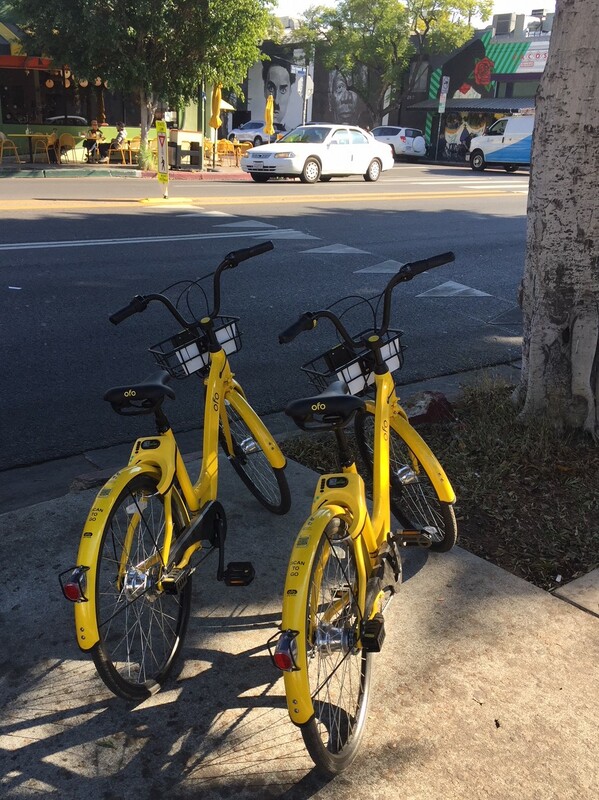 Photo by Joe Linton/Streetsblog L.A.
Streetsblog readers have probably already heard that private dockless bike-share has arrived in Los Angeles. Since November, three DoBi systems are operating in select parts of the city. I got a chance to ride each of these systems. This article does not claim to be a systematic analysis of L.A.’s nascent DoBi systems, but instead just my first impressions of how these bikes perform. As the city of Los Angeles Transportation Department (LADOT) works out its rules for permitting DoBi operations (council file 17-1125, expected to be heard in Transportation Committee in January or February), Streetsblog L.A. plans to continue to look into how these brand new DoBi systems are performing in the communities where they’ve been deployed. Spin are bright orange bikes. 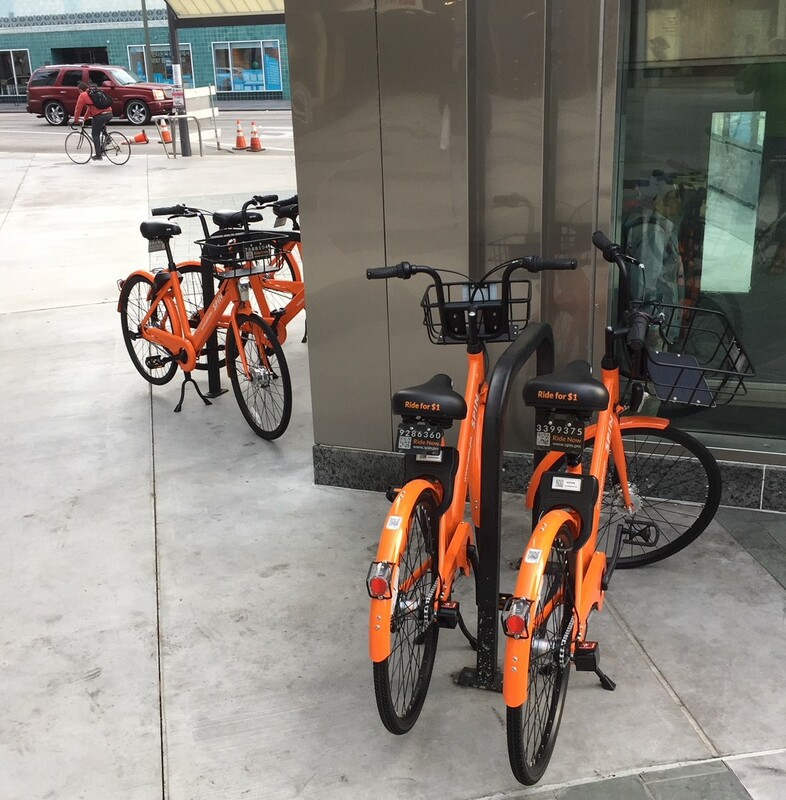 There are currently 40+ bikes in what Spin calls a “small pilot program in Koreatown” that began in late November mostly along Wilshire Boulevard. Looking at the app today, the Spin bikes appear to have already dispersed into adjacent neighborhoods including Pico Union, Mid-Wilshire, East Hollywood. I rode a Spin bike in November. It was, frankly, crappy. The adjustable seat does not come high enough for a comfortable ride for a tall person. I am 6’3″ tall, and, on the tallest setting, my knees were uncomfortably close to the handlebars. Both Metro Bike Share and Breeze bikes are, at their highest settings, comfortable for me. I put a little pressure on one of the Spin bike’s handlebar grips, which came off. 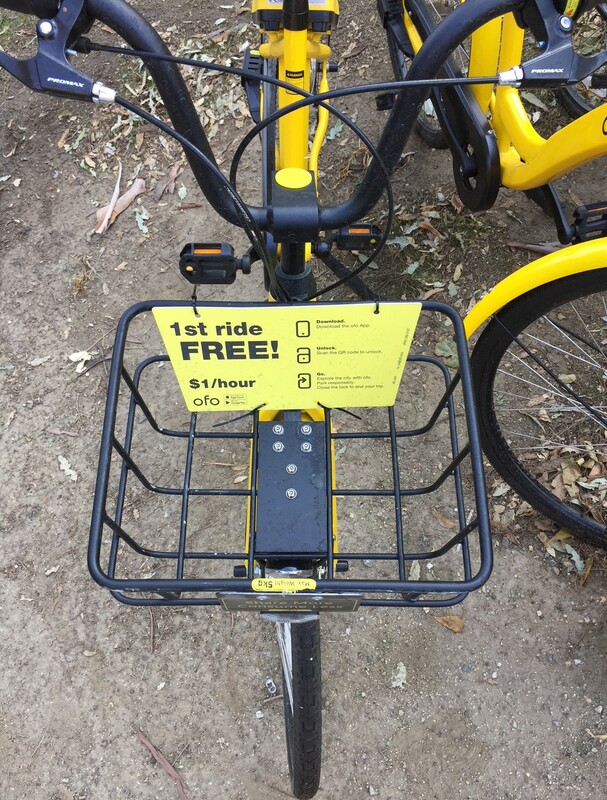 According to the Department of Recreation and Parks Tracy James, “approximately 50” bright yellow ofo DoBi bikes are available now, for “a one year pilot program” in Griffith Park. The bikes are scattered around, mostly in the flatter parts of the park, including the Shane’s Inspiration area, the Autry Museum, and Travel Town. Recently a few of these bikes have spread to park-adjacent areas, including Los Feliz. Similar to the Spin bikes, I found one ofo bike I rode to be crappy. 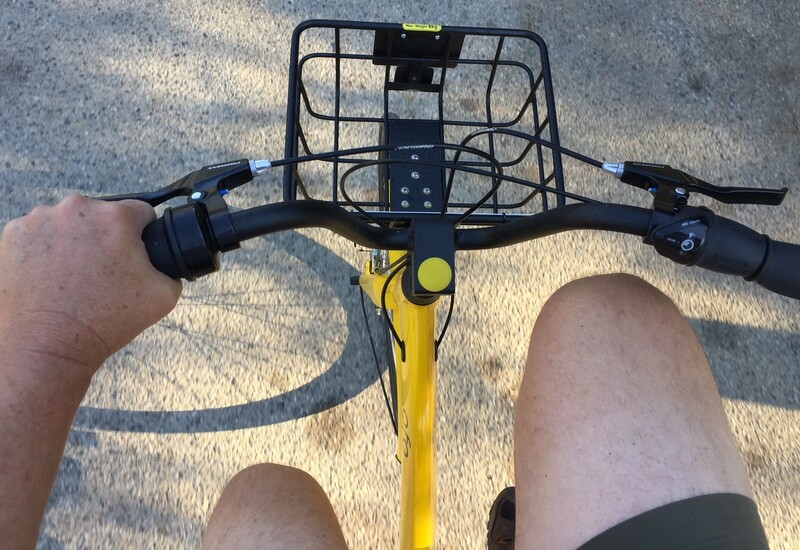 Like Spin, ofo’s adjustable seat is too low for a 6’3″ person. As I was riding the one ofo bike around, it seemed to have some sort of steering problem. At first I couldn’t quite tell what the problem was, but then I realized that the front wheel wasn’t lined up with the handlebars; it was off a few degrees to the left. This isn’t terrible. This sort of misaligned bike is still rideable, especially after I figured out what was up. The one I tested was in a group of seven; upon inspection I found three of those seven appeared to have similar front-wheel misalignments. 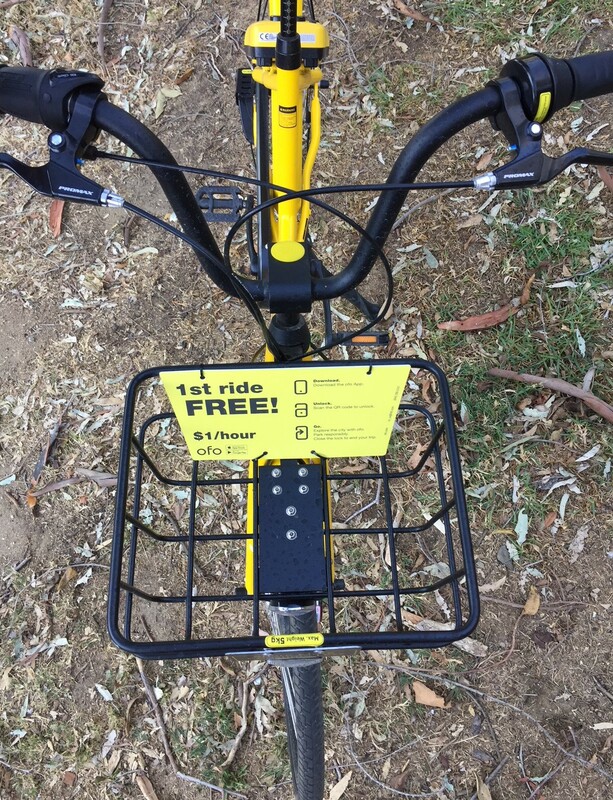 The ofo bike I rode had a misaligned front wheel. As seen at the bottom of this photo, the wheel should be straight, but veers slightly to the right. Other ofo bikes in the same cluster appeared to have a similar front wheel minor misalignment. The only way we will determine which bike system works the best is by trying all of them out. We might not even find that there is one winner – I suspect we might find that one system works best for one community while another works best in a different community, depending on factors like topography, demographics, and land use patterns. 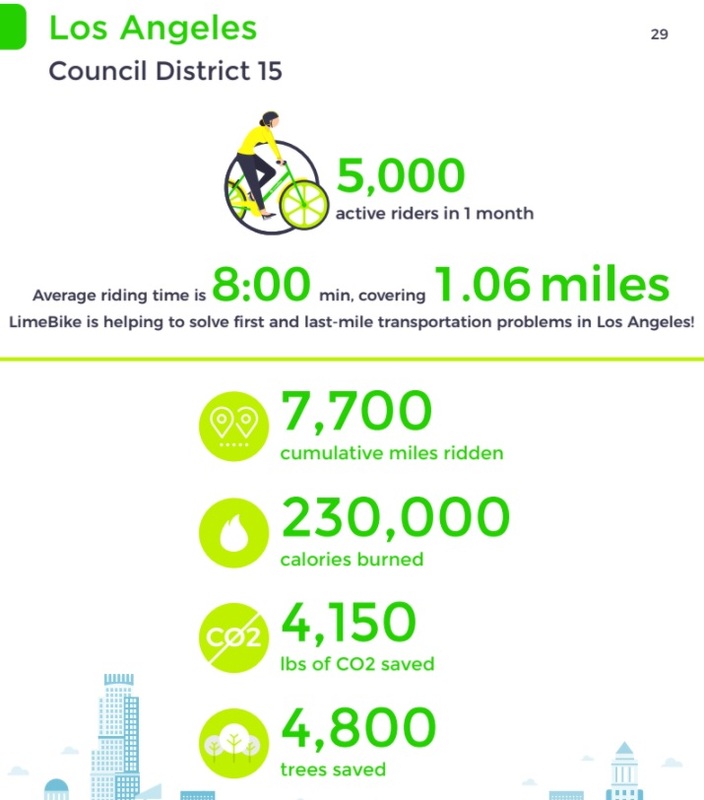 According to LimeBike, their CD15 pilot has 630 bright green bikes. In their first month in L.A., they report 5,000 active riders. Yesterday, I attended a kick-off for LimeBike coming to CD15’s Harbor City neighborhoods. I was pleasantly surprised by LimeBike. The bike quality is significantly better than ofo and Spin, though a notch below the seemingly-indestructible Metro Bike Share and Breeze docked municipal systems. LimeBike’s adjustable seat was tall enough for me to ride comfortably. 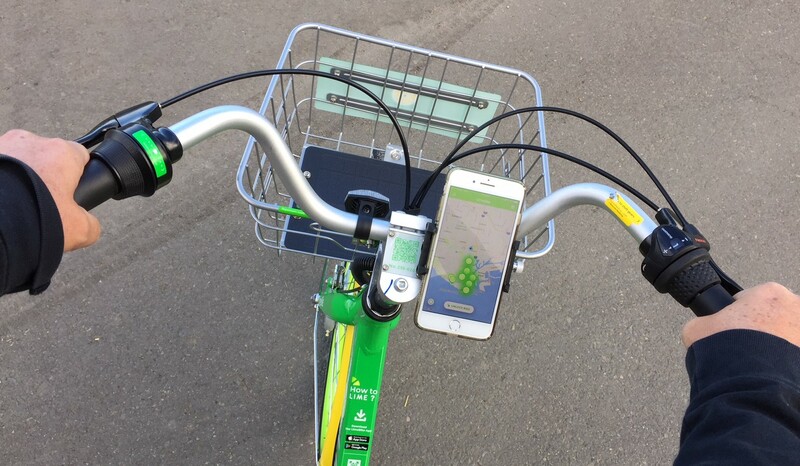 In addition to size and sturdiness, LimeBike bikes have a good minor add-on features that make sense for today’s urban bicycling: springs to give stability one-hand (or no-hands) riding, and a phone holder. All three of the DoBi systems described feature a 3-speed internal hub, good step-through frame geometry, and generator-powered lights. Both LimeBike and Spin feature front rack solar chargers to power the app-enabled back-wheel locking system. Readers – have you tried out these new bike-share systems? What has your experience been? Great writeup, glad to see you had at least one work out for you. 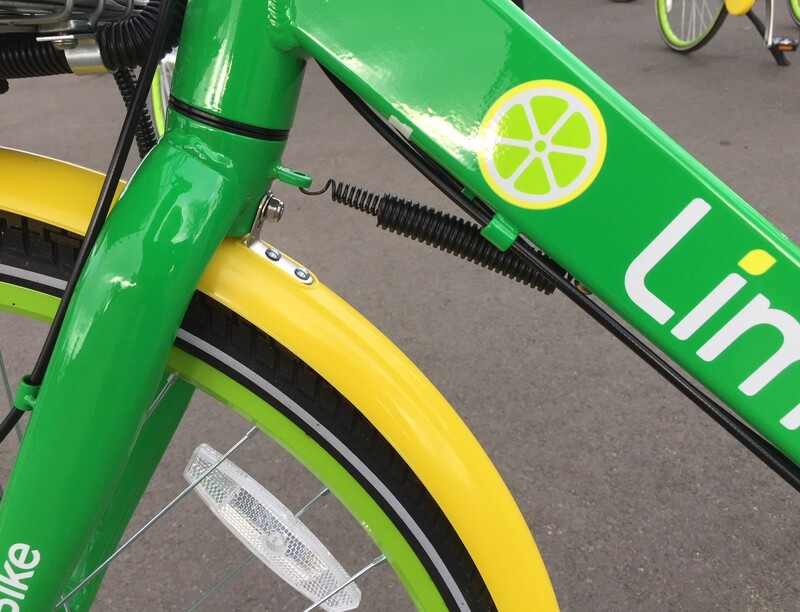 I tried out Spin and Limebike at the LaCoMotion festival, and they felt comparable. I’m 6’1″, and I’m pretty certain the Spin bike was not as vertically challenged. Both felt like decent, sporty rides. I maxed out the height on all of them, as well as the Metro, and the Metro was the first bikeshare where it was actually *too* tall. The Metro was more like a heavy upright stable Dutch bike, the Lime and Spin sportier, like a city-hybrid bike – not worse, just different. Putting out crappy bikes isn’t a very good business strategy – if the city picks an exclusive provider, it won’t be one with a low quality record. And if there’s open competition, there’s no reason to pick a lemon when you can pick well, a Lime, when they’re all the same price. I like the Breeze bikes. I’ve been a founding member with an annual subscription the past two years. The bikes were solid (read not light) but I had a few issues with the bikes not being available where I needed them for my cross-town commute or with the network being down preventing renting. I’m not renewing for this year, opting to walk the mile and a half each way for work. While I had docks near work and the Expo station, I though the dockless nature was brilliant. I’ve heard the dock-only nature is what doomed the bike system at University of Washington in Seattle – students would ride across campus, find docks full and then have to backtrack to try to find an open dock and then end up being late to class. I’m bummed that the main system Metro is pushing and expanding is dock-only. That’s too bad about your Breeze experience. 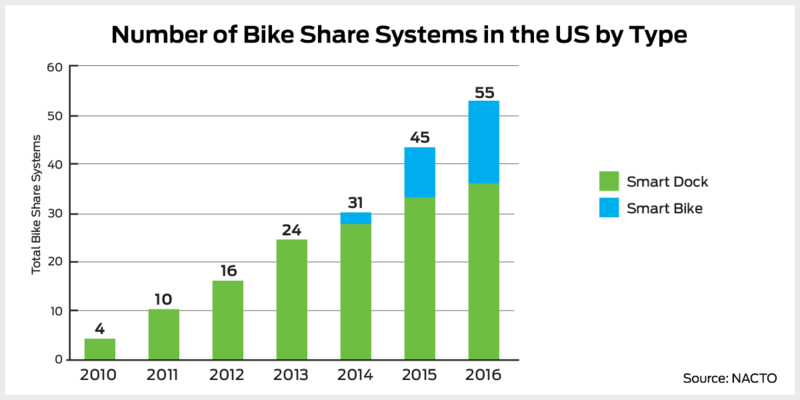 Despite the seeming novelty of dockless bikeshare (and the scorn for it by some urbanists), dockless-capable systems like Santa Monica’s were already extremely dominant among new bikeshares, two years ago! See picture below. And those very suppliers are already making moves to convert existing systems to fully dockless (Zagster) or offer new dockless services (Social Bicycle’s Jump). Metro’s choice of ‘smart-dock’ technology was an outlier – and also garnered tons of criticism. Hey James, have you emailed Breeze to ask about moving bikes around? My new office is in NE SM which has sparse docks and the one near me was nearly always empty. I emailed to complain and they added 6 bikes the next day, and have kept the area pretty well stocked. Does any body else notice the problem where you’re in gear 7 and putting too much torque on the pedals pops it down to a 1 or 2? That’s the only real complaint I have about Breeze, otherwise it’s fantastic. I’m sorry, I don’t mean to intimate that it was a common problem. It was infrequent that I couldn’t find a bike near me, maybe one in 20-25 rides, often after a weekend or holiday where I expect they were still catching up with the re-balancing. The network outages were more frustrating. When I first started using, anything 4 was the highest gear. By the end, I wished there was gears beyond the highest (8? 7?). I did have that problem on occasion where pushing too hard caused it to slip. On those bikes, I found that if I held the gear shift a little past the gear, it did a lot to prevent the slippage. I tried out Lime Bikes in Seattle, and they were great for short trips. 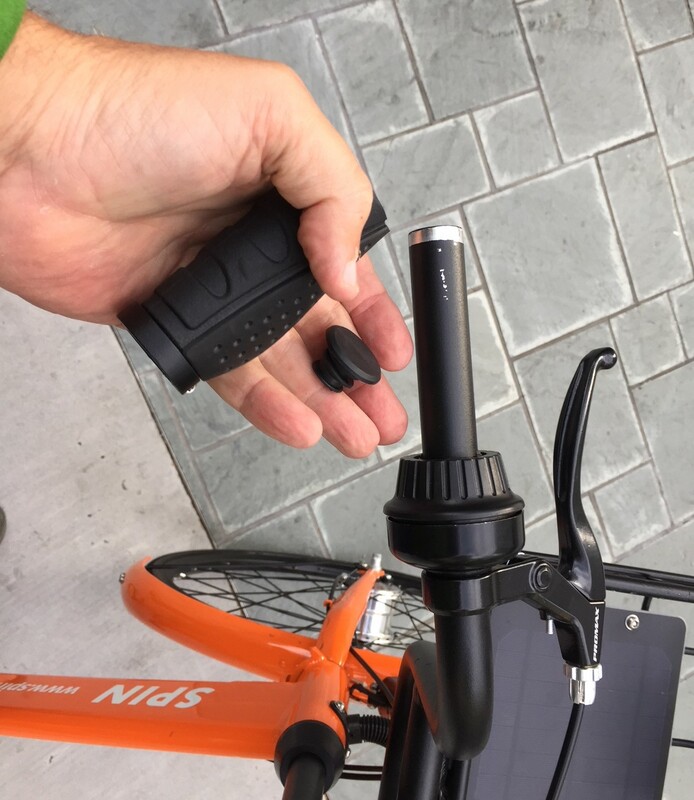 The pricing was both intuitive and cheaper than Breeze bikes, and the app to use them couldn’t be easier. The GPS tracking the bikes’ locations wasn’t flawless, but it was good enough to get the job done if you’re not in a big hurry. I’d be curious to hear others’ take on the pricing and app usability. Ofo bikes are FREE for the entire month of January. Good luck finding one with all three gears working. In my experience, only the first gear works. 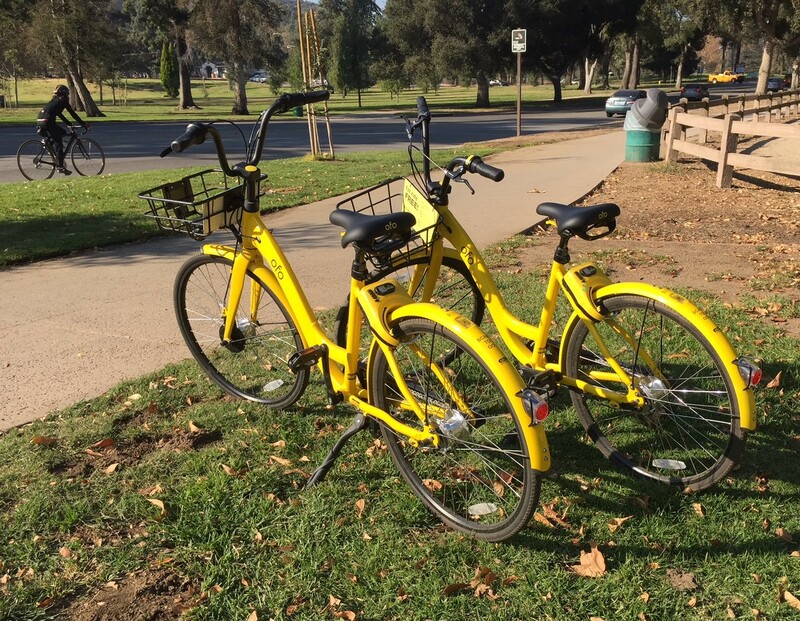 Three dockless bike-share systems currently serve L.A. - these systems have potential for good, but also potential for pitfalls.